I often receive pitches from sales people with only company and product centric information. The key focus of these messages is on the sales person’s company, their products/services and their needs for getting my business. Sometimes they also drop names of their customers in the message and sometimes they just claim that they have many customers. The main call-to-action is that they want to talk to me or meet with me in person to give a demo, explain their offering further or explore “business opportunities” (whatever that means). 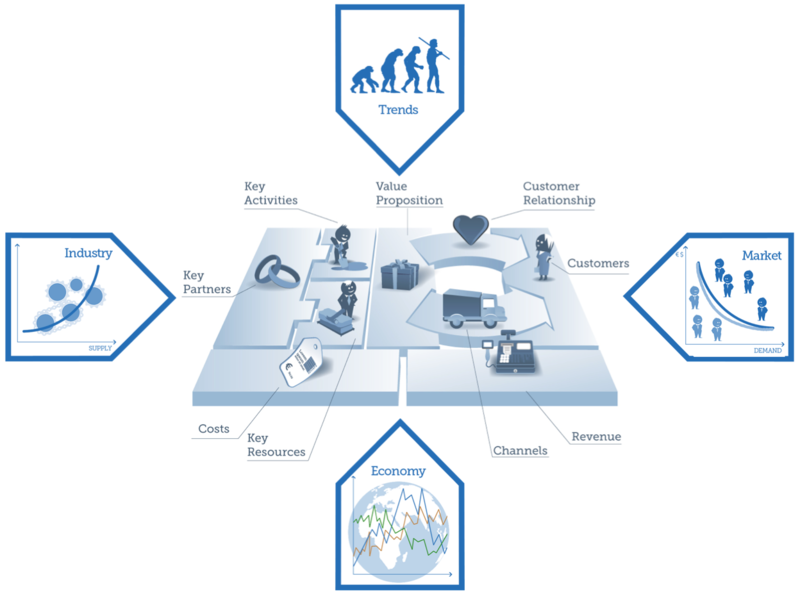 http://tbkconsult.com/wp-content/uploads/2016/07/Business-Model-with-environment.png The value proposition and the business model environment are actually integrated parts of the business model concept, but I have spelled them out separately here because most people are not aware of that. Nevertheless, most information technology executives do not read the books, they do not watch the videos, they do not attend the classes and they do not engage the consultants. The result is that they fail to recognise the need for clearly identifying the segments in the market that could get immense value from their product/service (instead they shoot at everything with a pulse). They fail to identify the value propositions that translate the features of the product/service into messages that are relevant to the potential buyers in their specific position in the buying cycle (instead they just hammer out company and product centric propaganda). They fail to recognise the channels that could be the most productive for getting the messages across and they fail to understand that engaging these channels also requires value propositions (you can buy advertising for money, but how do you make me recommend or resell your product/service? ).